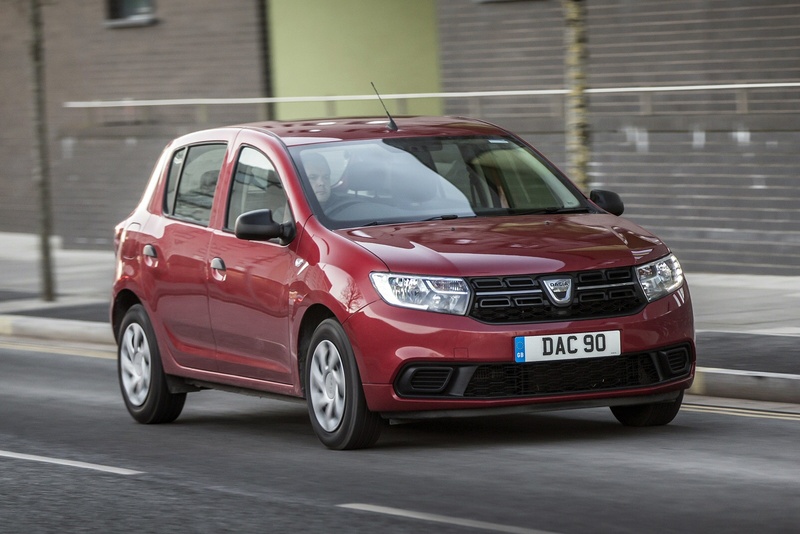 The improved Dacia Sandero line-up offers Britain's cheapest new cars, wrapped within a 5-door hatchback that delivers accommodation for 5 adults. Sandero's big bonus - worthy of a city banker - is delivered by generous luggage capacity, stretching well beyond its official supermini classification. Here we're testing the version most British buyers will probably want, the 1.5-litre Blue dCi 95 diesel. Renault has brought budget airline sales tactics to British car buyers with the proven European success of their Romanian Dacia brand. Since 2004, they've sold over 2 million vehicles across 36 countries and Britain is another keen customer. Founded in 1966 and bought out by Renault in 1999, the chief attraction of any Dacia [officially pronounced Datch-ya] comes in bargain basement prices and a respected durability record. In this case we think size matters. You'll find plenty of competitively priced supermini and city-sized 5-doors, but none bring the space race benefits of Sandero's rump. True, some acclaimed designs approach Sandero space levels. Then you also discover their inflexible pricing, thousands beyond Dacia's progressive steps, well below established hatchback territory. The fight for new car value below £10,000 usually features entry-level specials from the establishment or unfamiliar names from Asia and Eastern Europe. Today's trusted supermini brands - from Ford's Fiesta and Vauxhall's Corsa to Volkswagen's Polo - may hint at £10,000 in 3-door bodies, but 5-doors and more sophisticated derivatives zoom beyond £12,000. 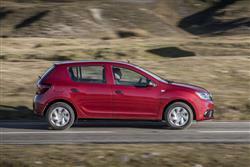 So, it is hard to position Sandero's combination of citycar pricing and spacious accommodation. Let's look at the latest 1.5 dCi diesel version and see if it makes an equally individual case at the wheel. You don't expect much in the way of a memorable environment and driving experience when the reason for a brand's existence is aggressively low pricing. Yet that absolutely does not mean you should accept anything less than safe and efficient transportation: both of occupants and any reasonable load that needs to be elsewhere with minimal hassle. The good news is that Dacia does hatchback motoring with traces of joie de vivre from its French parenthood. 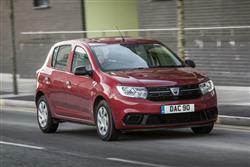 The Blue dCi 95 diesel derivative should represent the ultimate in Sandero motoring. However, expect 0-62 mph to take nearly a second longer in this diesel than in the turbo TCe 0.9-litre petrol model that will save you £1,600, while top speed is a couple of mph down at 107mph. What matters though, is that the diesel has so much more pulling power at lower engine revs than any other derivative. So instant mid range acceleration, which you typically need on Britain's crowded roads, is much better than the statistics reveal. 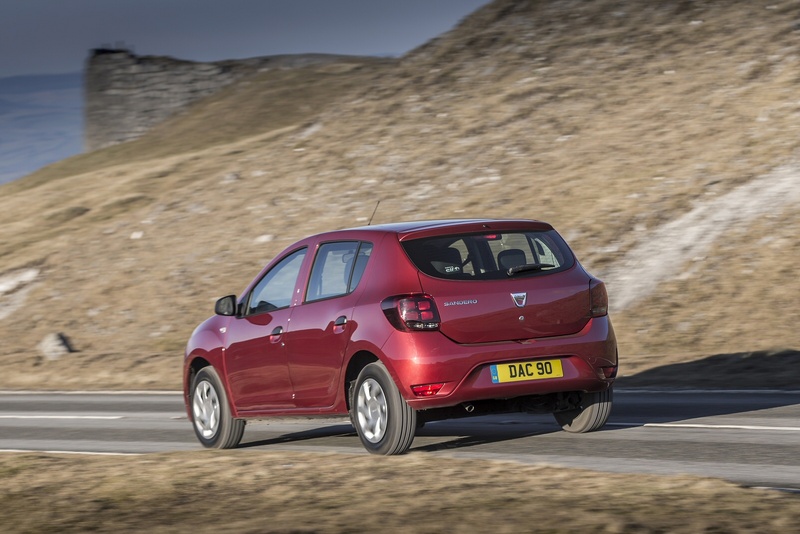 The diesel can be coarse compared to the petrol units, especially in motorway use, but most Dacia drivers accept gruff manners in return for such excellent fuel consumption and range. I can't see anybody buying into the Dacia deal wanting to hurl this hatchback into unlikely cornering antics, but we all want a feeling of security over varying surfaces and a variety of conditions. This Dacia is far from the worst we've tried, scooting around our winding roads competently and I certainly never felt the low cost had literally cut corners. This is a very space-efficient 5-door design, one assembled in Romania around proven parts to offer exceptional interior people and luggage accommodation. 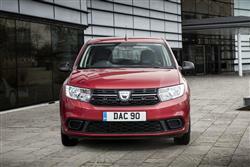 Aesthetic changes made to this car in recent years include a revised front end design showcasing Dacia's lighting signature flanking a smarter honeycombed grille. The interior's smart too, with satin-effect chrome finishing to lift the dashboard, a grippy steering wheel and some soft-touch surfaces on upper-spec variants. 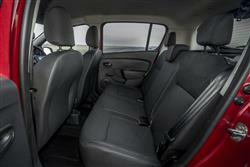 As before, the company claim Sandero is, 'as spacious as models from a class above', which is just about right. Take the 320-litre boot, bigger than that of a Ford Focus. If you need more, a bumper 1200-litres is presented as the rear seats drop forward, although they don't fold totally flat. Naturally, Dacia's people are just as enthusiastic about the high roofline cabin. Here, the headroom measures just 3mm short of a Ford Fiesta with a 20mm bonus over Vauxhall's Corsa. Headroom, front shoulder and rear elbow room all meet class and beyond benchmarks. Is there enough rear legroom? Well the Corsa is notably inferior in this department and the Fiesta cannot beat the low cost champion from Romania either. 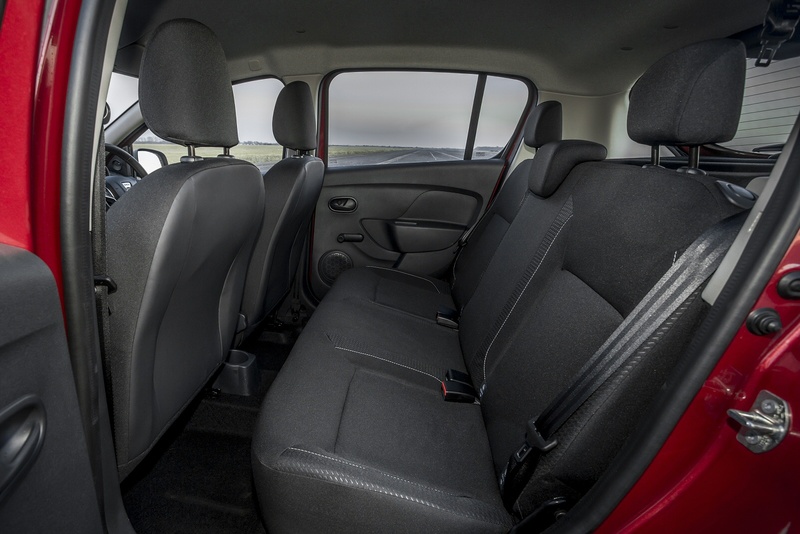 Sanderos are simply available in 5-door hatchback bodies in three trim levels - Access, Essential and Comfort. They typically cost from £7,000 but for a diesel 1.5-litre dCi variant like the one I tested, you're going to need between £10,400 and £11,400, depending upon the model you choose. That represents a £1,600 premium over the equivalent 0.9 TCe petrol unit which also puts out much the kind of output. Essentially the same vehicle is also sold as a Sandero Stepway. For around £1,000 more than the equivalent Sandero hatchback, this variant gives you a more rugged look and a boost in ground clearance. 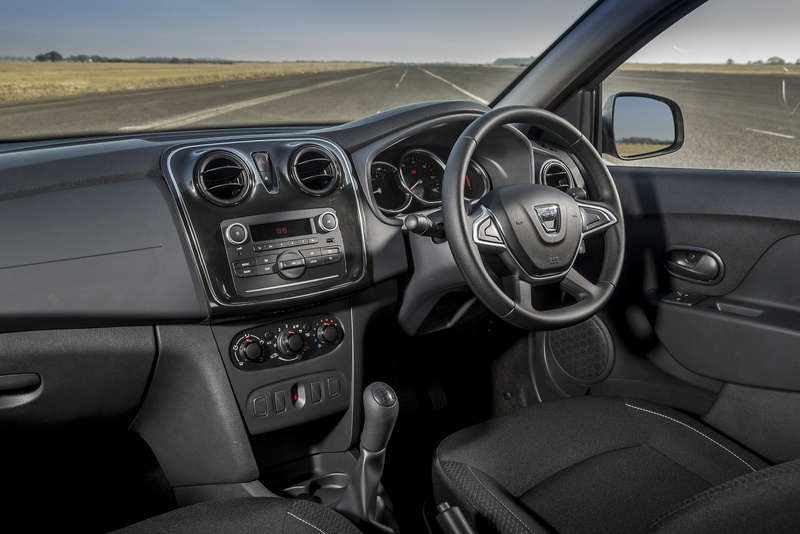 All Sandero dCi models offer air conditioning, a DAB radio, Bluetooth connectivity, power assisted steering, an engine immobiliser (though not an alarm), tinted glass and a heated rear window with wash/wipe. Plus a useful 12volt power socket, 4-speed ventilation and a front glove box. This Dacia also serves up some useful driver prompts, covering a rev-counter and a gearshift indicator, aiding fuel-efficient driving. With the diesel, trim levels start with mid-range Ambiance spec that includes a useful ECO mode button allowing you to squeeze more from every gallon of fuel. Plus there are powered front windows and remote central locking, which is coupled to an automatic door locking layout. Every Sandero is supplied with driver and passenger airbags, plus side airbags in the front and all the expected electronic stability, braking and traction aids. The dCi 95 Sandero variant I tried certainly delivers low emissions hatchback motoring putting out just 98g/km of CO2 and returning up to 68.7mpg on the combined cycle (WLTP). That's around 20mpg better than any petrol Sandero can manage, meaning that the 50-gallon tank's range of around 850 miles is 200 miles more than you'd manage in any petrol Sandero. As ever though, the upfront diesel price premium (£1,000 in this case over the equivalently powerful 0.9-litre Tce petrol model) means that diesel makes most sense for the motorist in for high mileages. 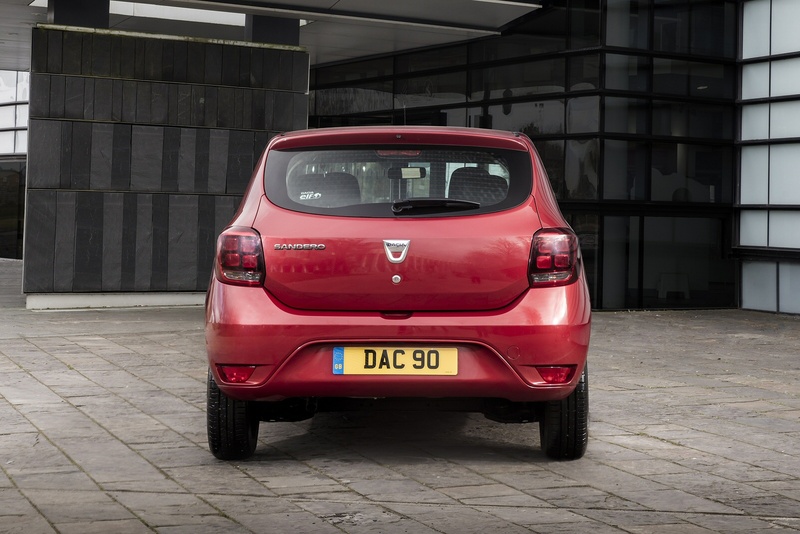 As for the warranty, well Dacia offers an industry standard 3-year/60,000 miles guarantee from the showroom, backed by roadside assistance. For some £400 more, you can extend the cover by two years .For twice as much, you can up the period covered to a Kia-equalling 7 years and 100,000 miles. Dacia feel they have a very strong case to make when discussing insurance rates, citing Groups between 2 and 10 depending on model, choosing to highlight those rates against those of Kia's Rio [3-8]. The Sandero's routine maintenance is pretty average, demanded at 12,000-miles/1 year, whichever falls first. Because of big brother Renault's established presence in the UK, it's reckoned the Dacia service network reaches out to over 86% of the British public, who are 30 miles or less from their nearest dealer. If you�re looking for a new Dacia Sandero 1.5 Blue dCi Comfort 5dr Diesel Hatchback for sale, you�ve come to the right place. At Bristol Street Motors we don�t just have the best Dacia Sandero 1.5 Blue dCi Comfort 5dr Diesel Hatchback deals, we also offer friendly advice and help with all your enquiries to ensure your buying experience is a happy experience.